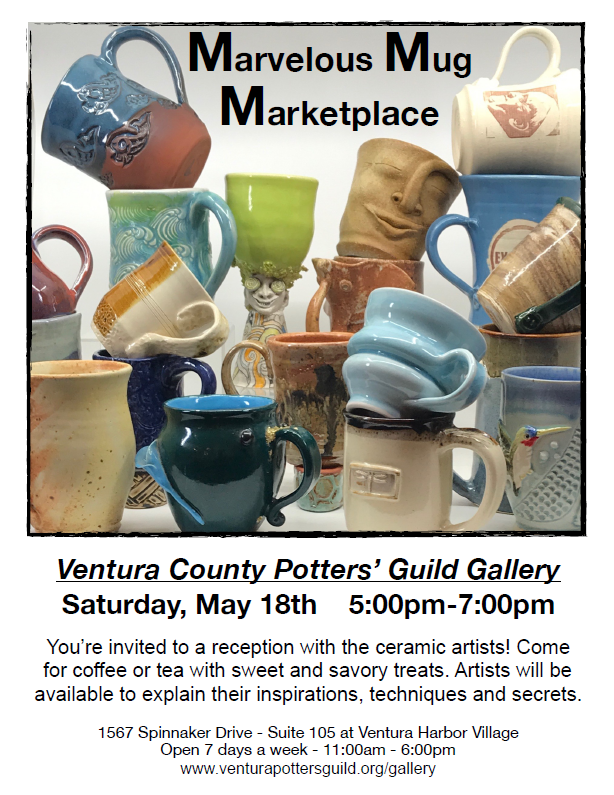 The Ceramic spotlight will shine on mugs at the Ventura County Potters’ Guild Gallery (VCPG) in Ventura Harbor. Mugs from over 20 gallery members will be available for purchase on Saturday, May 18 from 5:00 – 7:00 PM. 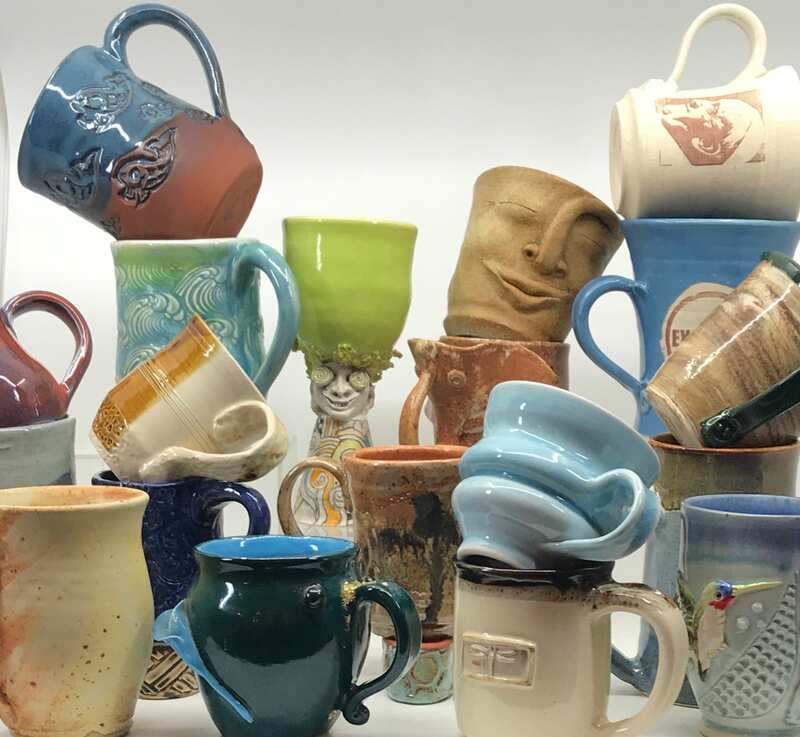 We invite our stalwart collectors and newcomers to join us for a coffee and tea reception with light snacks for this “Marvelous Mug Marketplace.” Artists will be available to explain their inspirations, techniques and secrets. You can purchase your mug and immediately enjoy a cup of joe! Or just come to peruse the vast, eclectic collection made by our ceramic artists.